Father Peregrine is appointed Abbot of St. Alcuin's Benedictine abbey. An arrogant, impatient man, a hawk trying hard to be a dove--his name in religion is "Columba"--he is respected, but not loved. A sudden, shocking act of violence changes everything. As the story unfolds, this community of monks, serious about their calling but as flawed and human as we are, come to love their ascetic but now vulnerable leader. They lived six centuries ago, but their struggles are our own: finding our niche; coping with failure; living with impossible people; and discovering that we are the impossible ones. Injured in an attack by old adversaries, Father Peregrine transforms from a steely, articulate, impressive leader into a humbled, crippled, wise mentor. Relying on the kindness of his fellow monks, the fiercely independent, hawkish abbot begins to regain his feet. But he faces a fresh challenge. The Augustinian Priory of St. Dunstan lies three days' ride to the southwest, the domain of Prior William, whose calculating self-interest makes enemies everywhere. When he and Peregrine cross swords over a matter of justice masked as doctrine, will ruthlessness triumph over integrity? Peregrine, strong and beloved abbot of St. Alcuin's monastery, suffers a stroke. Now incapacitated, he begins an arduous recovery with the help of his brothers in the infirmary. Brother Tom, the young monk closest to him, is horrified by the suffering Peregrine's illness has inflicted. He keeps his distance, out of his depth. How will he find the courage to make this demanding journey of vulnerability with his friend? How will they communicate, now that Peregrine can no longer speak? How will Tom respond to the terrible, secret promise his abbot asks him to make? In this journey to the depths of humanity, the two men discover together the treasures of darkness and the intimate mystery of compassion. 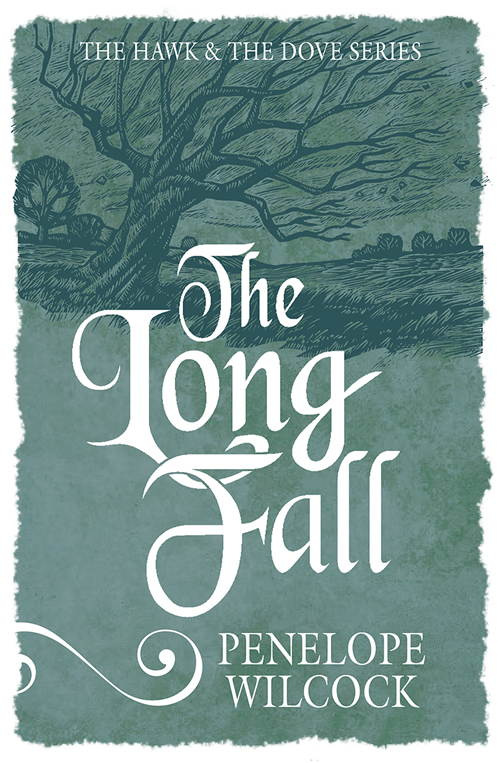 Engaging and beautifully written, warm and haunting, The Long Fall concludes the first trilogy in the Hawk and the Dove series. Poignant ... timeless ... inspiring ... entertaining ... reflective ... unexpected ... emotional ... a literary gem ... insightful ... The Hawk and the Dove Trilogy is all that and more. We are reminded that human nature never really changes and these stories were often like a mirror, compelling me to examine my own thoughts and attitudes. It troubles me that there's no way my words can adequately convey the beauty of these books and why readers should be moved to open their pages. 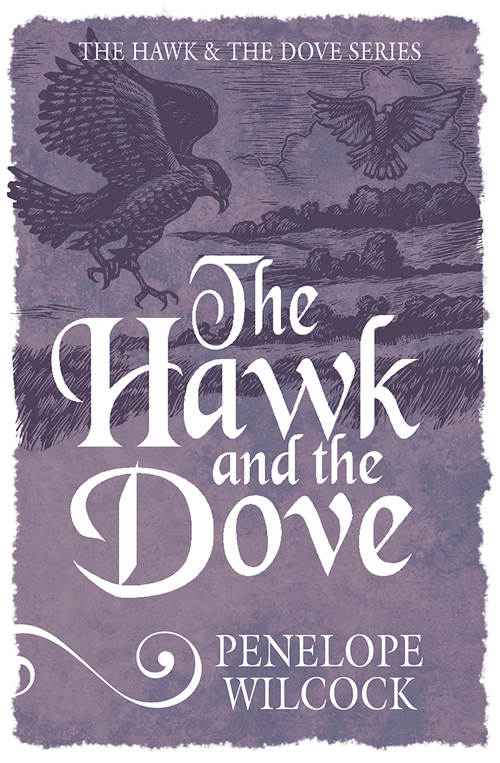 The setting of this trilogy is a 14th century Benedictine monastery - and the first two volumes, The Hawk and the Dove and The Wounds of God, contain vignettes passed down through the centuries by Father Edward's family and told to the present day Melissa by her mother. 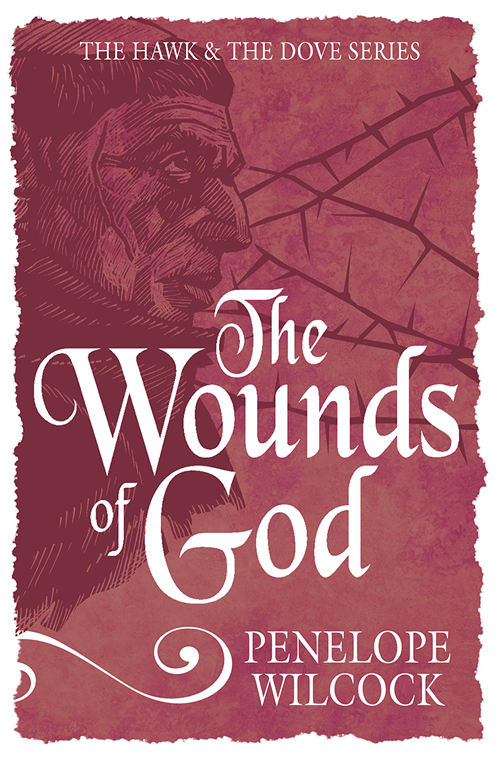 The imagery of St. Alcuin's on the edge of the Yorkshire moors and the monastic life couldn't be more vivid, and the deceptively simple lyrical prose reveals a wealth of insight. The trilogy revolves around the beloved Father Peregrine, who is appointed Abbot of St. Alcuin's in the early chapters. But he wasn't always beloved, for "there was precious little compassion or gentleness about him" in the beginning, and it took a horrific personal tragedy to gradually reveal a Christlike spirit that touched all who were around him, and will touch every reader in the same way. Book 3, The Long Fall, uses the novel format to tell a darker story that focuses on Father Peregrine and Brother Tom, and it's this story that I found most profound and almost haunting. Penelope's hospice experience has served her well in writing of Brother Tom's distancing himself from Peregrine after his stroke, gradually learning to see the person instead of the illness, and not allowing the indignity of illness to overshadow the dignity of the human spirit. Wow, what a life lesson! Penelope shared in an interview: "In The Long Fall, I wanted to give a voice to those hidden lives. In many novels and dramas, it is the doctors and nurses who are the stars, the people they care for having merely supporting roles. I wanted to give back centre stage to people who had been pushed by illness to the margins of their own lives." 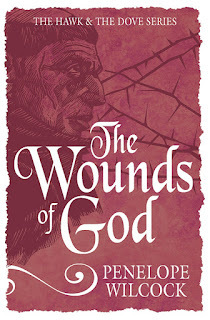 Faith Farrell, who blogs at Found a Christian by His Grace, has a gift with words and I appreciate receiving her permission to share a few of her thoughts on this series . . .
Oh, there's so many reasons to read these books. Read them for the fine writing that turns these little tales into magic doors that transport you to another world. Read them for the way they'll absorb you utterly, and the way you'll crave the next chapter, and the way they'll feed your heart. Read them for their deceptive simplicity, because while they're stories of particular people and place- the brothers of St. Alcuin's- they're somehow about you and I too. Read them for Brothers Tom and Cormac and Francis and Theodore. Enjoy the delightful camaraderie of young men all trying to understand their vocations and conform their lives to the pattern of simple service. There are antics and escapades and growth in goodness aplenty among these novices! Read them for Brothers Andrew and Matthew and Edward, older men who took their vows long ago and still find themselves learning God's ways. Read them for Father Peregrine, the abbot who leads them all, with justice and distance at first, and eventually with a true shepherd's merciful hand. These men may belong to the 1300s, but the human heart still breaks and mends in the same old ways. These stories are timeless, compelling, and will speak to everyone. Highly recommended. Thank you to Kregel/Lion Hudson for providing a copy of this book in exchange for my honest review. A young Amish woman, yearning for freedom, crosses paths with a handsome Mennonite celebrity in a deeply moving tale of friendship and self-discovery---the second installment in the unforgettable New York Times bestselling author's new Amish Brides of Pinecraft series. Penny Troyer rarely disobeys her parents. In the years since her sister's tragic death, they've wanted nothing more than to keep her safe...even if it means never leaving the house. But tonight, she's bending the rules because Michael Knoxx, the most famous member of The Knoxx Family Singers, a traveling Mennonite Evangelical family ---is scheduled to speak. 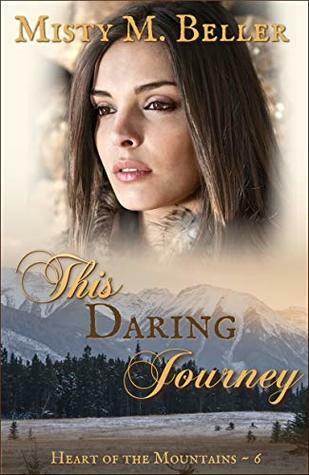 Penny has heard of Michael---how he lost part of his leg in a terrible accident and uses the experience to inspire others---and knows she must meet him. So, for the first time ever, Penny stands up to her parents and goes out on her own. Though he speaks about living life to the fullest, Michael knows he needs to take his own advice. Life on the road is grueling and Michael wants to slow down, to rest...to perhaps meet someone who sees him as a man, not just a celebrity. So when a twist of fate allows him the chance to stay a little longer in Pinecraft, Michael knows God is showing him a new path, especially when he discovers how much he and Penny Troyer have in common. But new friendships can't stop time. Soon, Michael's time in Pinecraft will be over and he'll be back on the road. Her time with Michael has brought her happiness, but will she be able to follow her heart? Or will she be faced with the one thing she's sure she'll never have the courage to do? To put it simply, reading a Shelley Shepard Gray story is pure pleasure, and I have eagerly anticipated book #2 in The Amish Brides of Pinecraft series. The Proposal at Siesta Key is technically Amish fiction with strong romantic elements, but its strength is in characterization, relationships, and a vivid sense of place. 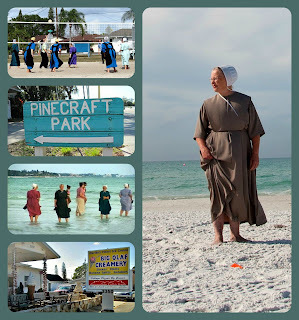 Pinecraft, the small Amish community in the heart of Sarasota, Florida, offers a different, more relaxed atmosphere than most traditional Amish fiction. Shelley has made this community come alive and I'd love to have an ice cream treat at Olaf's, pie at Yoder's, and shop at the produce market. And much thanks to the design team for a cover that captures the essence of Penny Troyer and the Siesta Key setting. 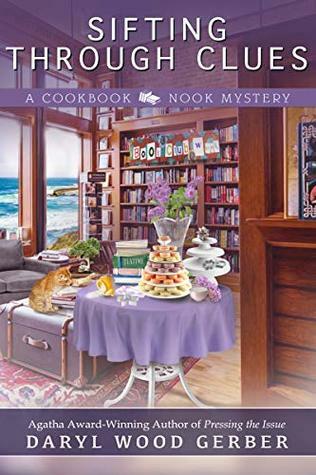 This series revolves around the Orange Blossom Inn, capably managed by Beverly Overholt. I am intrigued by Eric Wagler, the inn's owner, and love watching the relationship between these two grow. With all the story opportunities from relatives and guests at the inn, I doubt I would ever tire of this series. Penny and Michael, both with traumatic experiences in their background, are so likeable and easy to relate to. Penny's parents are reclusive and have sheltered Penny, refusing to see her as a grown woman. As the story opens, Penny has come to realize that "everyone at some point in their life had to stop being someone's child and start being their own person." Michael, due to the popularity of his evangelistic personal testimony, has almost become a larger-than-life character to many people. To the world, he is "a symbol of invincibility, capable of withstanding pain and all kinds of human frailties" It was good to walk along with Penny and Michael as they gained insight into all that God had in store for them and the courage to reach for it. Penny expressed a gem of godly wisdom when she said, "Sometimes, the hardest path to take was the only path worth walking on." That reminds me of another nugget I once heard, "You've got to get out of the boat to walk on water." As a person who loves her comfort zone, I can nonetheless testify that those expressions are so true of life. 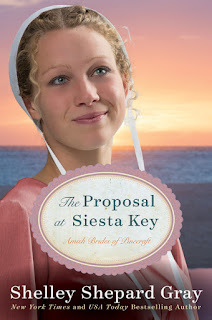 I enjoyed the easy reading of The Proposal at Siesta Key and recommend it to fans of character-driven stories with sweet romance. Please click on the title, The Promise of Palm Grove, to see my review of book #1 in this series. 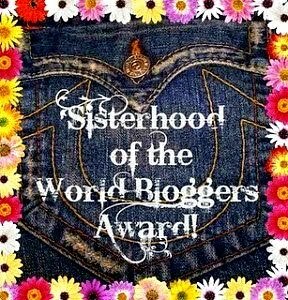 Connect with Shelley online at shelleyshepardgray.com, Facebook, and Twitter. 1) Please click on this Facebook link, http://on.fb.me/1AwyKyJ, share about the giveaway, then come back here and let me know that you have shared in your comment. Have you ever visited an Amish community? BE SURE TO LEAVE YOUR E-MAIL ADDRESS in a safe format - [at] and [dot] - for the drawing. E-mail required for entry. Contest ends at midnight PST on Friday, June 5. Winner will be chosen by Random.org and contacted by e-mail. Respond within 48 hours of notification or another winner will be chosen. Young romance opens like a rose . . . but even a rose has its thorns. Tessa Gregory is nothing if not tenacious. 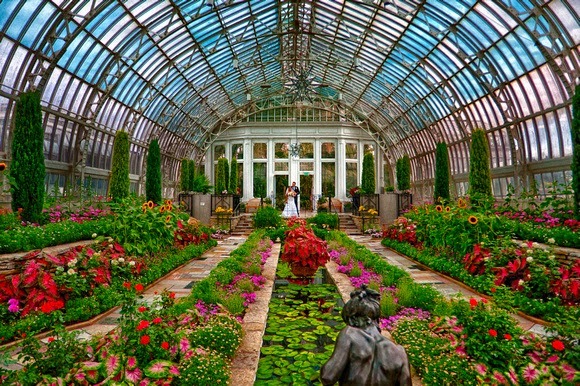 Denied a position as a horticulturist at prestigious Como Park in Saint Paul, Minnesota, she is not above a little benevolent deception in order to get the park superintendent to change his mind and hire her. She plans to infiltrate the world of wealthy and influential people in hopes of drumming up financial support for a world-class conservatory. But before she can put those plans into action, she meets Reese King, a handsome gardener at Como Park--and a major distraction. Still, Reese might be the key to achieving her dream. But is his goal to help her . . . or to capture her heart? Against the lush backdrop of manicured gardens and greenhouses full of the exotic, Lorna Seilstad weaves a sweet and sassy story that is sure to delight. I am glad to have discovered the writing of Lorna Seilstad and have thoroughly enjoyed the Gregory sisters. As Love Blooms concludes the series with the youngest sister's story, Tessa - and can I just say how appealing the cover is! It beautifully captures the essence of Tessa - her mischievousness, charm, wit, inner beauty, and sense of style. Although the characters overlap throughout the series, each book can stand alone. The series features three engaging sisters who have promised to be there for each other after the death of their parents, helping each other achieve their dreams. They also have strong wills and are desirous of entering professions not usually open to women in the year of 1913 - Hannah, a lawyer; Charlotte, a chef; and Tessa, landscape design. Even their Aunt Samantha, a favorite character of mine, is actively involved in the suffrage movement. As Love Blooms lacked that certain "something" that makes for an exciting read, but I still enjoyed it overall. 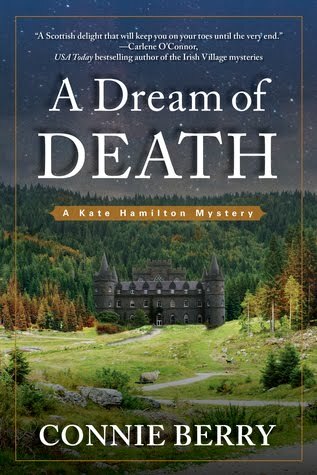 Lorna brings in a lot of historical detail and anyone familiar with the Saint Paul, Minnesota area will enjoy the mentioning of several local scenes, including the beautiful Como Park where Tessa and Reese work. I enjoyed the garden design theme and especially all the behind-the-scene workings in preparation for the beautiful Como Park Conservatory. 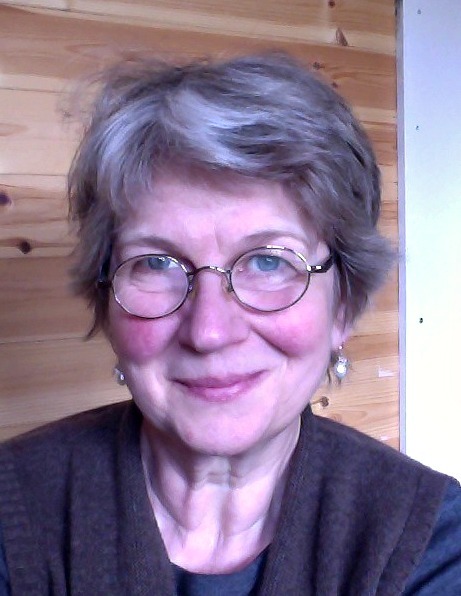 Lorna infuses her writing with a gentle humor and rich characterization. Tessa is so energetic and funny, determined to prove that she is finally serious about her career. She was a dreamer who had "already passed through the journalist, photographer, librarian, and Pinkerton agent phases" and was now series about being a horticulturist. And when it came to relationships, she found playacting easier than fitting in with those around her. With his serious, humble, and protective nature, Reese was easy to like from the beginning. They complimented each other - and together, they made an unbeatable team. I especially appreciated how Lorna connected the gardening/nature theme with everyday faith - from the importance of being rooted in Christ, to the realization that faith the size of a mustard seed is all it takes for God to work in His incredible ways. Both Tessa and Reese also learned a lesson that many of us can relate to - that faith is misplaced when we try to please or put our trust in a human being rather than God. 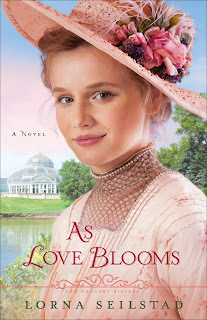 As Love Blooms is an enjoyable conclusion to The Gregory Sisters series and I look forward to more from Lorna Seilstad. I especially enjoyed book #2, While Love Stirs (click on title to see my review). 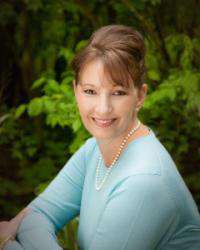 A history buff, antique collector, and freelance graphic designer, Lorna Seilstad is the author of When Love Calls and the Lake Manawa Summers series. A former high school English and journalism teacher, she has won several online writing contests and is a member of American Christian Fiction Writers. Lorna lives in Iowa with her husband. Connect with Lorna online at lornaseilstad.com and Facebook. Thank you to Revell for providing a copy of this book in exchange for my honest review. Review: Who's the New Kid? Who's the New Kid? 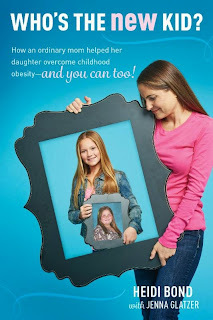 shows readers how Heidi helped her daughter lose weight without the aid of fad diets, medication, or surgery and how other parents can do the same with their kids. At nine years old, Breanna Bond weighed a whopping 186 pounds. Just walking up the stairs to her room was a challenge. Her legs chafed to the point of bleeding from rubbing against each other, and her school days were filled with taunts of "Hey, Fatty!" Breanna's mom, Heidi, was devastated and wondered, How can I get my daughter healthy again? In just over a year, Heidi's plan worked! Breanna dropped 40 percent of her body weight and was transformed from a morbidly obese child who spent her days in front of the TV eating chips and chocolate to a vibrant, healthy, energetic little girl. 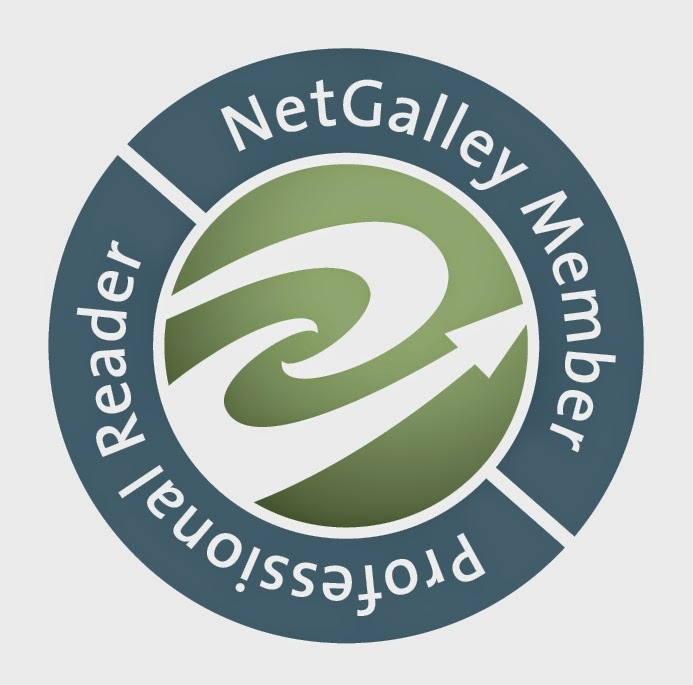 Filled with helpful diagnostic tools, easy-to-make recipes, eye-opening nutritional information, fun exercise ideas, and practical tips and advice, Who's the New Kid? will not only show parents how to help their kids lose weight naturally but also introduce them to simple, yet effective lifestyle changes that will benefit the entire family. Who's the New Kid? by Heidi Bond just might be one of the most important books you'll ever choose to read. Important, relevant, encouraging, honest, factual, full of hope, and even life changing are just a few ways I would describe this book. 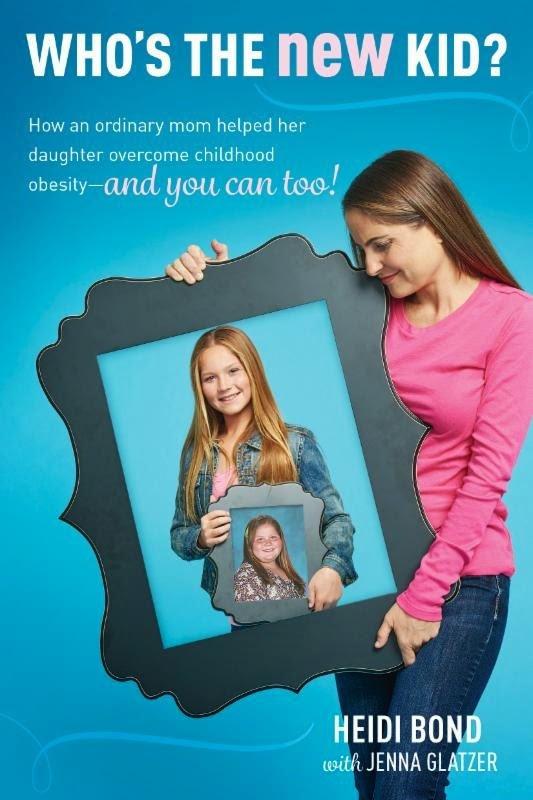 With complete honesty, Heidi takes readers on her personal journey, never minimizing her own part in allowing Breanna to reach a weight of 186 pounds by the age of nine. Heidi's account is extremely well written, easy to follow, and a section with recipes, menu plans, exercise schedules is included at the end. The further I got in Heidi's story, the more frustrated I became at the world we live in. Childhood obesity is an epidemic in the US, contributing to many more serious health problems than most of us realize - yet everywhere we turn, sugar-filled & fat-laden foods are calling out to us. And even when Heidi was making great progress with Breanna's weight loss, she encountered opposition when turning down candy . . . "The same people who had judged me for letting her get fat were now judging me for sticking to a plan to help her lose weight. It felt like I couldn't win." One important message I'll take to heart from this book is the importance of taking responsibility when it comes to daily menus and exercise, and being consistent. I also appreciated how Heidi & Breanna are using their experience to help others. Heidi writes, "No one should go through something like this feeling as helpless and alone as we did in the beginning." Breanna is mentoring kids who want help losing weight, and Heidi even dreams of opening a weight-loss center for kids, teens, and parents. Who's the New Kid? is surely a book to which almost everyone can relate and benefit from. It is eye opening and full of encouragement that hard-won victories can be achieved. Highly recommended. Alexa Zimmerman wonders if the Old Order Mennonite community in Arborville, Kansas will ever fully accept her. Her family roots here aren't what anyone thought when she first arrived, but she is hopeful that her culinary and hospitality skills will win the skeptics over. The bed-and-breakfast she's operating needs to succeed so Alexa agrees to allow Briley Forrester, the hotshot reporter from Chicago, to stay as a long-term boarder not knowing his real motives for being amongst the Plain folk. 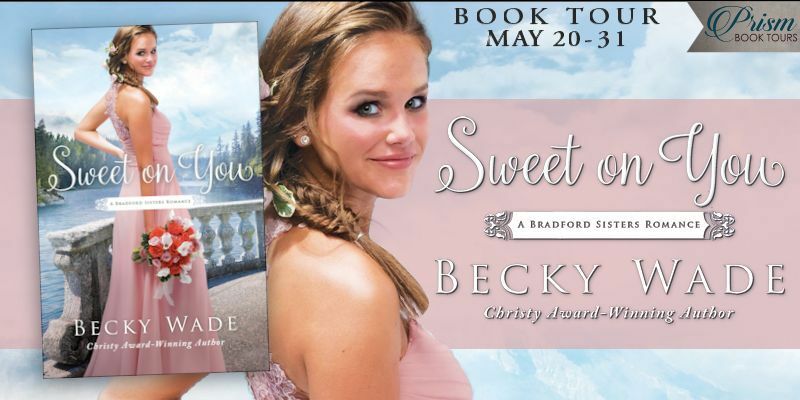 But when Alexa agrees to host her cousin Anna-Grace Braun, the presence of extended family brings out Alexa's insecurities and sets Briley on the trail to uncovering a web of hidden truths. 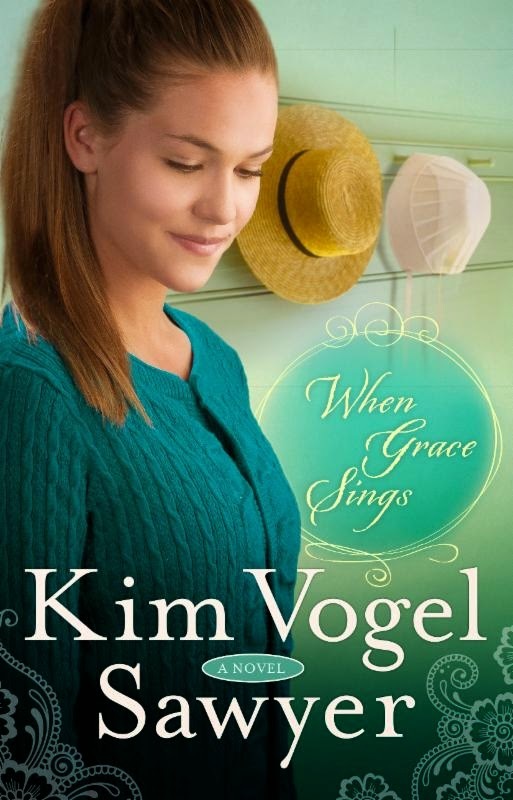 When Grace Sings is simply a beautiful, moving and poignant story. I'm the perfect audience for character-driven stories, which is something Kim Vogel Sawyer does extremely well. But even more than the rich characterization, she builds emotion into fascinating storylines and never fails to clearly present the gospel message in a way that flows naturally with the story. 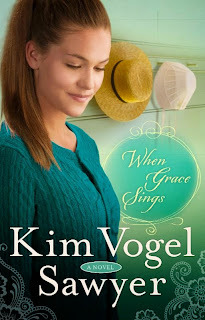 Set in an Old Order Mennonite community in Arborville, Kansas, When Grace Sings is book #2 in The Zimmerman Restoration Trilogy. I regret that I haven't had time to read the previous book, When Mercy Rains, but Kim did such a good job at covering the past that I had no problem reading this book as a standalone. As with any series, however, I recommend reading the stories in order. I also need to mention that, although the ending is satisfying, not everything is wrapped up and there's much more to anticipate. While this narrative flows easily from four different character perspectives, it's really a complex story because of all the relational and life issues brought in - teen pregnancy, adoption, family secrets, guilt, acceptance, following God's will. I loved and could easily relate to all the characters, but it's usually the most flawed character who draws me the most - and that would be the cocky and flirtatious Briley Forrester, a Chicago tabloid reporter who seeks to show that all is not peace and harmony within the Amish/Mennonite community, making a name for himself in the process. And then there's Steven, the "good" son who struggles with following the path his father has chosen for him. The two girls, Alexa and Anna-Grace, simply pull at the heartstrings. Something I especially enjoyed is the spiritual message that Kim so flawlessly weaves into the narrative. The title, When Grace Sings, is beautiful in itself, but the meaning behind it is even more so - the idea of grace, so freely given, combining with Zephaniah 3:17's picture of God rejoicing over us with singing. "God gives second chances. We as humans make our mistakes, we flounder and err and build walls that seem insurmountable. But when we confess our wrongdoings and ask God to redeem us, He brings restoration. It’s NEVER too late for a second chance." I rate books according to how they affect me, so . . . 5 stars for When Grace Sings. Highly recommended. Kim Vogel Sawyer is the author of twenty-nine novels, including several CBA and ECPA bestsellers. 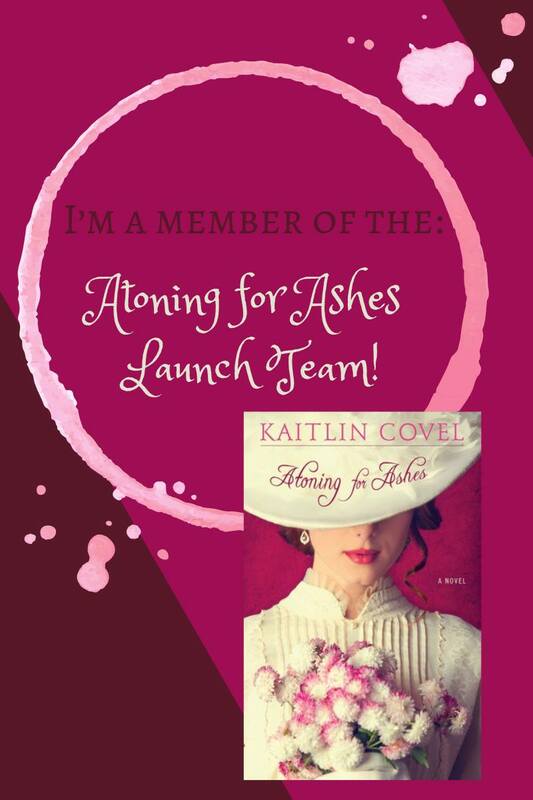 Her books have won the ACFW Book of the Year Award, the Gayle Wilson Award of Excellence, and the Inspirational Readers Choice Award. 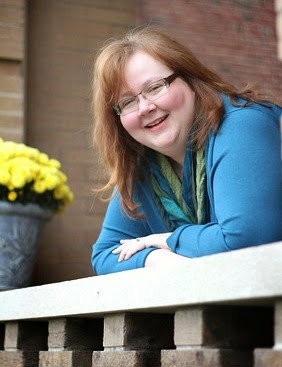 Kim is active in her church, where she leads women's fellowship and participates in both voice and bell choirs. In her spare time, she enjoys drama, quilting, and calligraphy. Kim and her husband, Don, reside in central Kansas, and have three daughters and nine grandchildren. 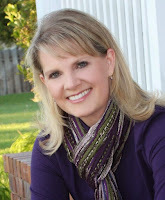 Connect with Kim online at kimvogelsawyer.com, Facebook, and Twitter. To enter the drawing for When Grace Sings. . .
BE SURE TO LEAVE YOUR E-MAIL ADDRESS in a safe format - [at] and [dot] - for the drawing. E-mail required for entry. Contest ends at midnight PST on Thursday, May 28. Winner will be chosen by Random.org and contacted by e-mail. Respond within 48 hours of notification or another winner will be chosen.